Established in the year 2011, we, 'Chamak Polymers Pvt. 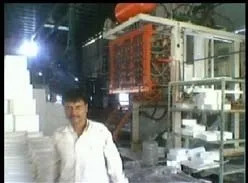 Ltd', are indulged in manufacturing and supplying a wide range of Expanded Polystyrene Products to our valued clients. Our product range includes EPS Blocks, EPS Thermocol & Insulation Sheet, EPS Packing, EPS Decorative Ceiling Tiles, EPS Pipe Section, EPS Architectural Moulding, EPS Pallets etc. 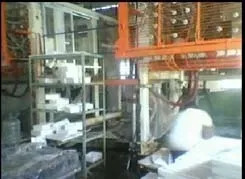 We, feel pleasure to introduce ourselves as one of the well known manufacturer of Expanded Polystyrene (Thermocol), currently we have started our new manufacturing plant at Kalol-Chaatral. Our company that is fully equipped to fulfill your requirement in insulation, packaging, decorative ceiling and consumer home products. We are having the team of dedicated and dynamic personnel and has a track record of producing exceptional work, all our team is backed by aggressive marketers who have the ability of managing rapidly growing marketing network. We take this opportunity to welcome you as our valued customer and assuring you of our top quality services, to have a trustworthy relationship association between us. Chamak Polymers has a reputation of giving high standard quality material and timely delivery. Under the mentorship of Mr. Chirag Patel, we have been able to achieve heights that were earlier unimagined by us. His vast domain expertise and brilliant leadership skills have steered the organization on the path to success. Manufacturing and Trading of EPS and Thermocol Products. To provide our clients with specialized EPS polymer Thermocol. To satisfy our clients with the quality and availability of our material at all times. To grow each of our clients' respective businesses to its full potential - after all, their growth is our growth. To fully understand the industry, business, constraints and opportunities of each of our clients. 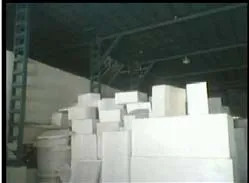 We, feel pleasure to Introduce ourselves as one of the manufacturer of Expanded polystyrene (Thermocol) we have recently started our latest manufacturing plant at Chhatral-Kalol,Gujarat (India) a company that is fully geared to successfully fulfill your requirement in insulation, packaging, decorative ceiling and consumer home products. 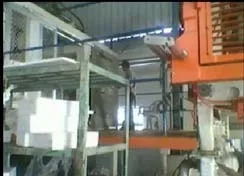 In terms of infrastructure, we have one of the most dedicated and dynamic, creative team of personnel which has a track record of producing exceptional work, the latest new machinery moulding technology, all supported by a team of aggressive marketers who have the ability of managing rapidly growing marketing network. Our organization has appointed a team of hardworking and dedicated professionals, which plays an enterprising role in carrying out the entire business operations in a streamlined manner. These professionals are known to work in coalition with the clients so as to fulfill their specific requirements. We have recruited these professionals after a series of selection process, which is conducted by our management. Furthermore, we organize regular training sessions and workshops for our team members in order to keep them abreast to changing trends in the markets.